Time flies and another Holiday season is upon us. I’m kind of bored of seeing the same repetitive gift guide everywhere. So here is my art-centric, shameless, unapologetic gift guide. Enjoy! If you are a true art collector, you really would want to have one of this John Chamberlain's sculptures in your collection. Available at Artspace. This 18th Century-inspired embroidered Marchesa dress is off the charts (and off the budget too, but if you can get it, please do!). Available at Net-a-Porter. I kind of suffer from the nostalgia of the 1980's in New York City (but not all the time). If you want to relive some of those moments and immerse yourself in this biopic directed by Julian Schnabel, Basquiat, offers a very good account of the super intense, super rich art scene of 30 years ago. Available at Amazon. Do you have a celebrity in your life? What if a loved one is more than a star in your own constellation? 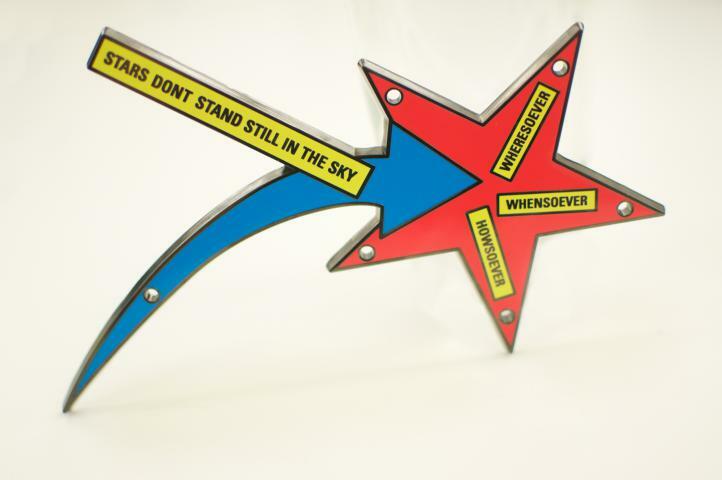 I feel that "Stars Don't Stand Still in the Sky" by Lawrence Weiner, will make anyone feel celebrated whether they are famous or not. Available at Artspace. For your toddler or preschooler who is into music and art, this Yoshitomo Nara "Doggy" radio has a built-in Yamaha sound system and blue-tooth technology that promises to put anyone to dance. Available at the MoMA Store. I have loved Keith Haring for so many years, yet I loathe nostalgia so much! But I love the 80's, so it's a very contradictory part of my life. This set of stackable figures can keep grown ups entertained and also make a beautiful office desk piece. Available at Amazon. 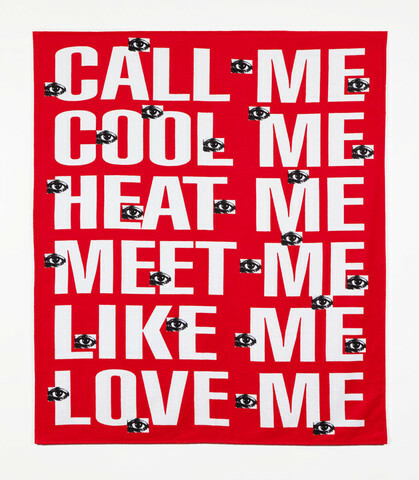 Barbara Kruger's Beach Towel. Available at The Standard. 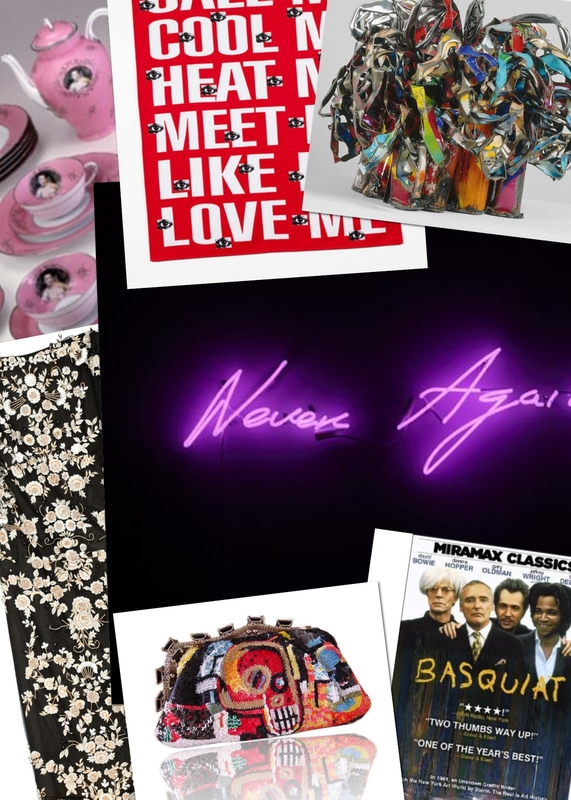 Tracey Emin's neon sculpture "Never Again". Available at Artspace. Cindy Sherman Madame de Pompadour's Tea Set. Available at Artware Editions.